we bought this from my wife's parents so we are essentially the original owner. this car is super clean and very well kept. good portion are highway miles. everything works 100%. no issues. here's what we did once we bought it. -2 new tires in july 2013, all four are roadside hazard protected thru tires plus. NO TRADES!!!!!! !Selling a 2003 Mitsubishi Evo with only 43k miles. It runs great and just had a new battery and oil change. including trans, t-case fluid. Timing belt/balance belt and water pump less than 500 miles ago. New radiator. The car has bin in storage for the last few years. It was a weekend/show car that I have no interest in any more. Excellent condition E350 2 door, Cabriolet V6 3.5L engine, 28, 559 miles, no damage history, clear title. Black on black with sport package, navigation, rear view camera, good Michelin tires, automatic seven speed transmission, paddle shifters, blue tooth, Sirius radio, sport seats and wheels, airscarf, voice command system for mobile phone and navigation, tire pressure monitor, keyless start. 2000 Acura Integra Type R 00-0526! Only 107500 miles! Miles will slightly go up as I do drive it a few days out of the week, this is not my only vehicle. Genuine Honda JDM HID front end works and fits flawlessly with metal fenders and polyurethane front bumper, not no knock off fiberglass kit. OEM Honda front, sides and rear lip kit. Thank you for viewing my ad. Willing to ship vehicle, Very good conditions. contact me for more detailsVery good conditions. contact me for more detailsVery good conditions. contact me for more detailsVery good conditions. contact me for more detailsVery good conditions. contact me for more detailsVery good conditions. This IS350 is an awesome car to drive.. It has all of the luxuries of the ES (see below) and yet really DRIVES! Powered by 3.5L, V6, RWD, w/ auto transmission and paddle shifters....a delight to drive.Features include, AM/FM radio with remote, CD changer, keyless entry, home link system, dual power seats, power locks, power windows, tinted windows, tilt steering, cruise control, power steering, traction control, telescopic steering, sunroof, tachometer, bucket seats-leather and heated, wood grain accents, compass, weather tech custom mats, child proof locks, fog lights, ABS brakes, single beverage holders, auto temp guage, anti-lock brakes, auto dimming mirrors, memory seats, rear window defroster, alloy wheels, mp3, CDplayer, dual front AC, satellite ready, paddle shifters, interval wipers, on/off headlights, and much more. This was one of the factory selected test cars where SVT officials put 8.5 miles on the car before delivery and certified the car as a defect free car. I have the proper documentation on this. The car is 100% original with only the battery being replaced. (I do not have the original battery). Jeep Liberty 3.7L 226Cu. In. Rebuilt title from the state of Virginia, the car has passed the state inspection and title was changed from salvage to clean with rebuilt status, just take the title to your DMV, pay your taxes and you should be ready to go. The following recent repairs were completed by the jeep dealer: Heat control, ABS modules and brakes, complete tune up also was done two months ago, no further repairs were made the car. Any questions at : houtsu6ckaren@topmum.net 2008 Fat Boy (FLSTF) 96 cu. in. 19, 120 actual miles. Black with blue striping, garage kept, excellent condition. Fresh synthetic fluids, good tires, 7/14 inspection, clean as a pin, runs strong. Have these original parts!! Mufflers&heat shields, turn signal lenes, handle bars and grips, passenger pegs. TOTAL AMOUNT INVESTED OVER $170, 000. Tuned to 603HP. Have ALL receipts including original window sticker. 2007 Porsche 911 Turbo Coupe, Stunning Midnight Blue Metallic Exterior Finish w/ Natural Leather Brown Interior. Heated Front Seats, Rear Window Wiper, Parking Assist System, Sport Chrono Package for Turbo, Remote CD Changer (6 Disc), Supple Leather Front and Rear with Exclusive Options including IPOD Adapter built in to glove box. 1997 Harley Davidson Heritage Softail Classic. Custom paint and lots and lots of chrome. Baker 6-Speed Transmission & Python pipes installed in February 2013. Dakota Digital gauge blue & Progressive Shocks installed March 2013. 117 S&S motor installed in April 2013 with Original Certificate of Origin. 2012 JEEP WRANGLER 4 DOOR MINT CONDITION ADDL FEATURES INCLUDE: 4 INCH TERAFLEX 8 ADJUSTABLE CONTROL ARM LIFT WITH TERAFLEX SHOCKS AND SWAY BAR DISCONNECT 17 INCH POLISHED ALUMINUM WALKER EVANS RACING WHEELS WITH POWDER COATED BEADLOCK RING NEW WHEEL HARDWARE NEW 37 INCH ALL TERRAIN. 2011 BMW s1000 rr. 2, 500 miles on it. 2011 BMW 1000RR with 2350 miles and clear title with no damage like brand new The Bike has a full two brothers exhaust with a two brothers juice box pro with stock map for exhaust I have 2 keys, manual, and slick mode chip Tires have a lot of miles left on them and bike warranty should have around a 6 months of warranty left on it The bike is loaded with quick shift, ABS, and Traction control from the factory All service and parts added were performed by BMW E-mail for contact : LUMSDEN. Two Litters - Two boys and one girl from litter born 12/13/13 - male and female Black Tux and White with Black spots male, one boy from litter born 12/15/13, Black Tux. All will be ready for new homes on 02/08/14. Tails have been docked, dew claws removed, will receive 1st shots, de-wormer and be Veterinarian Checked on 02/05/14. This bike has a Clear title and is for sale with a Factory Warranty Remaining warranty..
We now have available new Breed King-snake, Piebald , Ball and Albino pythons are now available for adoption and for new homes.They are well train easy to handle and great eaters, will be coming with all accessories. 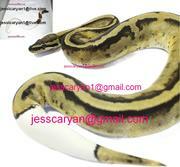 A signed photo certificate of authenticity for heterozygous (or het) piebald and ball. I and my husband are giving our beautiful Jack Russell Terrier puppy for adoption, the puppy is current on her vaccinations and veterinary comes with all necessary documents. she is pure Jack Russell Terrier puppy Champion line, which agrees with the kids and other pets.we are looking for a good loving caring home for her so if you can provide this puppy with the maximum love we need then get back to us asap with a valid cell phone number for better communication or contact us at. Medical Equipments Sdn Bhd Deal in all medical equipments Range :GE Vscan portable ultrasound scanner, stethoscope, ECG machine, monitoring, diagnostic equipment, CT scanner. We have the above mentioned medical equipment for sale We provide the machines that used ultrasound systems Complete parts and accessories Our products is 100% tested with warranties. BMW K1200 GT 2008 Show room condition, like new, a must see. Show room condition. 2008 Pearl Gray, 9, 771 miles. Garage kept. Heated hand grips, Lee Baileys heated sets and passenger back rest leather. Cruise control, ESA, Michelin tires pilot road 3. 350 miles on them. ABS, Side stand extender base. Oil cooler, water cooler made of fine mesh stainless steel. Tiny Toy Yorkie Puppies AKC & UKC registered. Cute and Affectionate Yorkie Puppies for free adoption They are 12 weeks old, YORKIE puppies to give it out for adoption .They are ready to go out to a good and caring home .Both of these babies are top shelf YORKIEs they don’t get much better than these AKC registered stunning teddy bear faces and. Charlottesville classifieds, Charlottesville ads, Charlottesville classified ads, garage sale Charlottesville Charlottesville Page number 4-1. Find here ads for sale, to buy and rent in Charlottesville. Goods for sale in Charlottesville, vehicles for sale in Charlottesville, Charlottesville real estate for sale, Charlottesville property for sale, property for rent in Charlottesville, business ads in Charlottesville, Charlottesville business classifieds, services in Charlottesville, Charlottesville services ads, jobs in Charlottesville, pets for sale in Charlottesville, Charlottesville dating, Charlottesville cars for sale.